Daily Chiko is no regular ice cream stand. 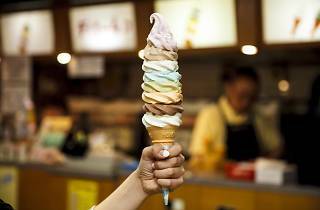 If you're around Nakano Broadway, you definitely won't want to miss their 20cm tall soft serve, consisting of eight layers of heaven. Flavours change once in a while depending on how the manager feels, but vanilla, chocolate, matcha and ramune soda seem to be staples. 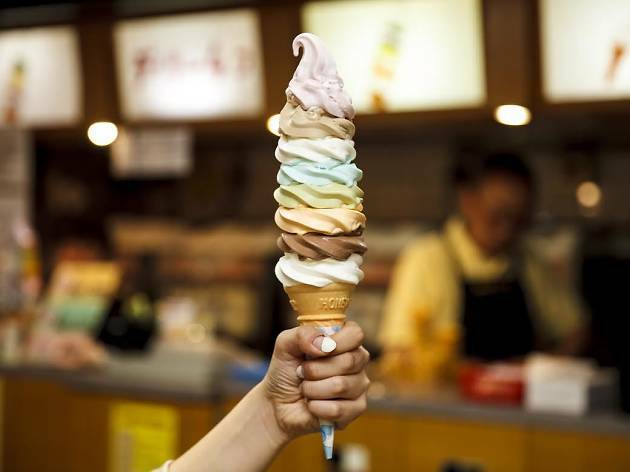 Though this monstrous dessert looks intimidating, the ice cream itself is surprisingly light and only packs a third of the calories in a typical soft serve. A mere ¥480 lets you take up the challenge. Daily Chiko also operates an udon shop next door, so you can fill up on noodles before moving on to the main dish.